Maribel Lieberman, owner of the MarieBelle chocolate shops, travels the world scouting the best quality beans for her masterful confections. As she prepares to open her newest shop, Cacao Market, Lieberman talks to T+L about sourcing trips, the inspiration behind her Brooklyn location, and the most unusual edible creations she’s come across. T+L: Where have you traveled to source the cacao beans used in your chocolates? ML: I have traveled to just about all of the top cacao-producing countries, including Venezuela, Honduras, Ecuador and Colombia. 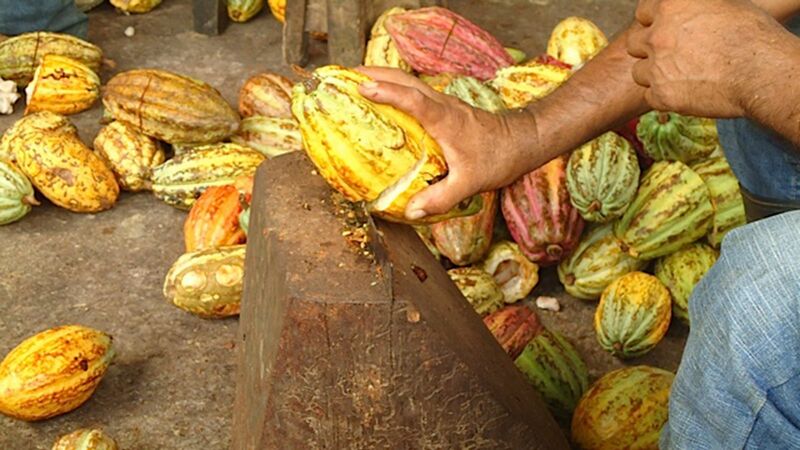 100% of the chocolate at Cacao Market will be from Central America, with about 80% from Honduras. Describe your most memorable sourcing trip. My most memorable trip was definitely the most recent one to my home country of Honduras. I met with many female cacao producers in the farms. One of the most interesting women was an 80-year-old cacao producer whose family has been growing cacao for almost three generations. Her energy and focus were inspiring! What are your three favorite chocolate shops in the world? Pierre Hermé in Paris—I love his creativity when it comes to pastries. They are so beautiful and colorful. Also in Paris, Patrick Roger makes amazing avant-garde recipes. I also really like Cacao Sampaca from Spain. They make their own chocolate from bean to bar and are very creative when it comes to new flavors. Why did you decide to open a shop in Kyoto? For me, Kyoto represents the blending of art, culture, beauty and extremely good taste. It's a very sensual place. The Gion district, home to captivating geishas, teahouses, temples and Kyoto's haute cuisine, is a center of preserved history and traditions. All of those factors combined led Kyoto to be an almost magical location for Cacao Market. While the destination was originally unfamiliar to me, I immediately felt so at home. What was the inspiration for Cacao Market in Greenpoint? All of the products in the MarieBelle line are currently produced at my factory in Greenpoint, so I am familiar with the area. I was inspired by the laid-back, rustic atmosphere found in Brooklyn, and I believe it is the perfect setting for the Cacao Market store. What are the most unusual chocolates you've encountered on your travels? I wouldn't say they were unusual, per say, but I have seen amazing confections in each country I have visited. While these confections may be unfamiliar to us in America or even Honduras, they are in line with the culture and traditions of that particular country. I think chocolatiers today are very creative and tend to think more outside of the box than traditional chocolatiers. One interesting combination I've come across is basil and dark chocolate—it's actually very refreshing! Also, in Mexico they tend to combine chocolate with savory flavors, which I feel is a true art. If you combine chocolate with the wrong spices, it winds up tasting strange and not necessarily pleasant to the palate. Laura Itzkowitz is a Research Assistant at Travel + Leisure. Follow her on Twitter at @lauraitzkowitz.